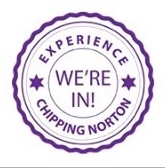 This website is written and maintained by the staff of the Chipping Norton News, a community run newspaper produced monthly by volunteers and sold for 50p from various outlets in and around the town. The intention of the website is to complement the newspaper; we use it to publish news and events that we don’t hear about in time to get it into print. We also put PDF versions of each edition on this site, a month in arrears. The News is usually published on the Monday before the beginning of each month. We don’t publish editions in January and August because of holiday disruption. You can have the News delivered to your home for an annual subscription, currently £20 per annum. Full details can be found on the inside back page of each edition. Aldi, Bakers Hair, Bartholomew’s, The Blue Boar, Caffè Nero, The Chequers, Co-op Foodstore, Co-op Pharmacy, Cotswold Newsagent, Costa Coffee, Costcutter, CN Health Centre, CN Hospital, CN Post Office, Crown & Cushion Hotel, Gill & Co, Guildhall One Stop Shop, Hidden Beauty, Highlands Day Centre, Jaffé & Neale Bookshop and Café, CN Leisure Centre, Old Mill Bistro, New Street Dental Surgery, Porcupine, Sainsbury’s, Spar at Esso, West Street News, Café de la Post, (Chadlington). The Chipping Norton News is printed by KMS Litho, Hook Norton.